“Riot police used tear gas and concussion grenades on hundreds of students protesting outside Montreal’s Palais des congrès Friday, where Premier Jean Charest was speaking at a symposium on northern development.” So begins a news report on CBC News. College students have long been an element of social change around the world. Sometimes the protests are peaceful and have a clear purpose or goal in mind. Students identify with what they see as a social or economic wrong and take to the streets in an attempt to sway public officials to change the policy. Often, however, the protests turn violent and seem little more than an excuse to act out with little chance of any individual student getting caught. The rage, anger, or depravity that lurks just beneath the social norms sees an opportunity to lash out. Strengthened and emboldened by the hundreds of others actors, mob mentality prevails and destruction ensues. The protests in Canada are not a result of a food shortage. They are not a result of limited access to medical care or supplies. They are a result of a proposed student tuition hike. And they’ve turned violent. 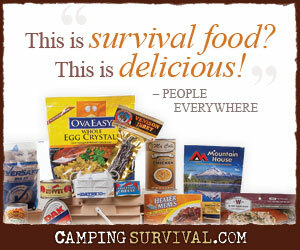 So, we can a prepper do to prepare for such events? What lessons can be learned? Review your supplies and preparations. Make sure that you have enough food, water, and the other supplies you’ll need in the case of a long term bug-in situation. You do not want to venture out into the streets when a riot is taking place. Renew your mind and your commitment to being prepared. Know ahead of time where your fallback location will be should getting home prove impossible. Learn alternate ways to navigate to your fallback location. Make sure your have other things in order as well – the proper home and auto insurance to cover damage incurred during the rioting. Recognize the threats early. Watch the news and other sources for current events. Look for trends or upcoming events that may encourage protestors to spiral out of control and into a riot. Take a few days off from work or plan to work remotely if possible on days when you believe violence is likely. Retreat to your fallback location. Make sure that you have a plan, preferably printed and readily available to everyone in your family, so they know where to meet should an event take you by surprise. At the first sign of things turning bad, go ahead and make the trip to your fallback location. If nothing bad happens, that’s good. Just use the time to make subtle improvements to your plans and fallback location. I’m not an alarmist by nature and I don’t find a riot lurking under every court decision or policy implementation by the legislature. But I do think it wise to pay attention and react appropriately when warning signs begin to appear.